With a few essential pages describing history from the life of Edward Wilson, two of his nephews have collected a representative sample of sketches, drawings and watercolors and reproduced them for posterity. Wilson made journeys to Antarctica in the early 1900's to view and record nature and wildlife during a time when photography was just coming into use. He remains, then, perhaps one of the last true artists to have recorded the south pole nature in detail. Wilson died during a return from the south pole with the ill-fated Scott Expedition. The book is a coffee-table sized volume, with very heavy paper and excellent reproductions of exquisite watercolor paintings and drawings. Essentially a book of art, it seeks to keep alive the legacy of Edward Wilson and preserve the delicate and fragile watercolors that show the subtle colors and shading of light in a land of the midnight sun. While this is a niche genre, it is a must for anyone who is a student of the polar regions and the age of exploration at the turn of the century. 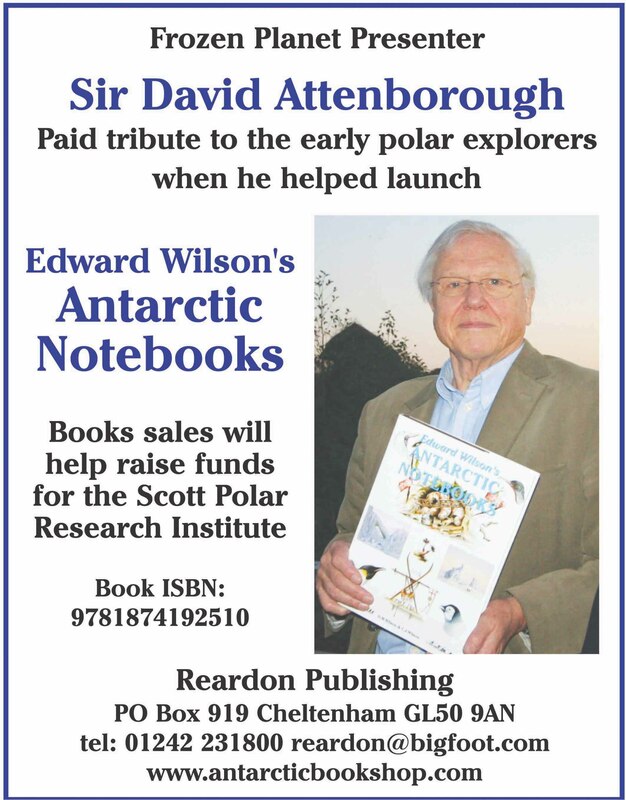 A. Tyger (London, England) -Edward Wilson's Antarctic Notebooks (Hardcover) The book makes an excellent companion in pictures to the tales of Scott's expeditions and is a thing of pleasure for itself - which can be recommended to anyone who recognises the beauty of the Polar Regions. This book is over 180 pages of wonderful images - even the copyright pages at the back are scattered with sketches and paintings. Wilson was already an accomplished artist when he went to the Antarctic on Captain Scott's first expedition, and provided scientific, geographic and just plain spectacular images of the new, icy world being discovered. There are sketches and paintings of the Emperor Penguins as he untangled their breeding biology, drawings of new coastlines, of the long winter nights and new spring dawns, of albatrosses and of the explorers' activities in camp and on the march. Altogether, the book covers both Scott's expeditions, right up to their journey back from the South Pole. From tiny rough drawings to full page plates, this book has plenty to catch the eye at every turn of the page.